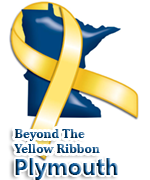 Join Plymouth Beyond the Yellow Ribbon mailing list (email: Gary.Goldetsky@oncallstaffing.com). Family Assistance Centers (FAC) – What are FAC’s and what do they do? Minnesota Assistance Council for Veterans (MAC-V) – Minnesota Assistance Council for Veterans (MACV) is a 501 (c)(3) nonprofit organization that has been assisting veterans for over 25 years. Each year MACV receives more than 25,000 contacts, inquiries, and requests from veterans across the state. Additional information and updated resources are available from the following link to the Minnesota BYR website. Parents, educators and other organizations turn to us for clear descriptions of children’s mental health disorders. Now you have access to our newly-updated fact sheets straight from our newest edition of An Educator’s Guide to Children’s Mental Health! The fact sheets provide a clear and concise description of 14 mental health disorders that may occur in children during the school-age years. They list the most common symptoms and behaviors associated with the disorders, describe the educational implications, and provide educators with suggestions for effective instructional strategies and classroom accommodations. Caring 4 Our Kids. We’re families of persons with autism building a site as a resource for those with autism and their families. A Resource for Parents of Kids with ASD, CFS, or Fibromyalgia. Please know that you can refer participants that live in the Hopkins, Minnetonka, Shorewood, Deephaven, Woodland, Shorewood and Excelsior communities to ResourceWest for car repair if they need to get to work or medical appointments. We work with participants to understand what their financial situation is, and how to best get their car fixed. ResourceWest has funding to pay for car repair so people can keep their job or gain employment. We also connect people to credit counselors after their car repair to help work on credit repair striving towards greater financial health. As you are working and meeting with participants that would be interested in our car repair program, have them call the ResourceWest office at 952-933-3860 to talk to a staff member. Or if you want to know more, please email Kirsten at Kirsten@resourcewest.org or Jamal at jamal@resourcewest.org. The National Guard Bureau Child & Youth Program, which exists to advocate on behalf of all National Guard children and youth, recently developed a resource to assist parents in communicating the unique strengths and challenges of National Guard children. Because the Child & Youth Program recognizes the important role educators play in enhancing the resilience of military youth, this resource is also available to teachers, principals and counselors – perfect for back-to-school time! CDS MISSION: Since 1919, Children’s Dental Services (CDS) is dedicated to improving the oral health of children from families with low incomes by providing accessible treatment and education to our diverse community. For more information on the agency and our programs, or to download agency brochures please visit http://www.caphennepin.org or call 952-933-9639. To request copies of our program brochures, please contact alee@capsh.org . For a complete list of locations, please visit http://www.caphennepin.org/contact-us/ . Shamblott Family Dentistry, A Minneapolis area family dental office run by Dr.Scott Shamblott, D.D.S., has created an event to lend ahand to honor area veterans. Free dental services will be provided to up to 15 veterans in need of dental services. This is the first year of the event, with hopefully, many more to come. Parkside Dental is also participating in Operation Open Wide in 2017. Donated durable medical equipment, e.g., wheel chairs, walkers etc is available at no charge if people need to use this equipment. The Heinzen-Ditter VFW has stored durable medical equipment as a result of their work with the Gerry Dykoff Loan Shelf program (telephone 612 865-0247). 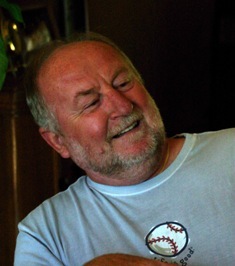 Jim Heimerl at the VFW can also be contacted at (763) 478-2077. This equipment will certainly assist service members, veterans and their families when need arises. HeatShare is a Salvation Army program that provides emergency utility assistance for people with no place left to turn. The program is funded in part by Salvation Army donors and customers of local utility companies. Funds are typically used to pay for natural gas, oil, propane and electricity. HeatShare is offered at most Salvation Army operation centers in Minnesota. In communities where HeatShare funding isn’t available, other Salvation Army partners may have resources. Call 1-800-842-7279 to get assistance in your area. probono@fpamn.org or 612-750-5237 to identify a local resource. The Temporary Financial Assistance program awards cash grants to minor children of veterans who are eligible for American Legion memberships. These grants help families meet the cost of shelter, food, utilities, and health expenses, thereby keeping the child or children in a more stable environment. Listing of some resources available to our military members, their spouses, and children to help with the financial aid process. Wells Fargo & Company has committed $2 million over the next four years to Scholarship America to develop and implement the Wells Fargo Veterans Scholarship Program and the Wells Fargo Veterans Emergency Grant Program. The needs-based scholarships and grants will help veterans and spouses of disabled veterans obtain education or training necessary to successfully integrate back into civilian life. Scholarship America, the nation’s largest provider of post-secondary educational assistance programs, and Wells Fargo worked together on the application and selection process for the scholarship and emergency grants, using best practices of the highest quality post-secondary educational aid programs. For additional information on the Wells Fargo Veterans Scholarship Program you can visit https://www.scholarshipamerica.org/wellsfargoveterans/ . GreenCare & SnowCare for Troops – Project EverGreen’s GreenCare for Troops and SnowCare for Troops programs provide complimentary lawn and landscape services, and snow and ice removal services for the families of currently deployed military personnel, and post 9/11 disabled veterans with a service-connected disability. Resource Guide to Trauma-Informed Services (ACF) -The guide is intended to provide an introduction to the topic of trauma, a discussion of why understanding & addressing trauma is important for human services programs, & a “road map” to find relevant resources. Know any service members that are looking for a financial educational opportunity…look no further then Military OneSource’s (MyTraining Hub). Pain Free Patriots changes lives by providing medical grants for elective treatment to help relieve chronic pain for military Veterans. Hennepin County Children’s Mental Health Collaborative – Many families gain hope and knowledge when they feel connected with other families who are experiencing some of the same challenges. What can I do? Join a support group. Join author and researcher Jean Illsley Clarke, parent educator Lisa Krause, and a multidisciplinary team of University of Minnesota Extension educators in an exploration of overindulgence and how you can avoid it with children. We have received a plentitude of calls recently about ramps. I would like to find out if there are any contacts for ramps you may know of (businesses/charities ext.) The ramp requests I have received range from a veteran recently becoming an amputee and requiring a ramp for 4 steps into his home and another request for a veteran in his 90s who fell while attempting to carry his wife down the exterior steps of their home because she cannot walk up and down the stairs on her own. I know a few DAV Chapters have notified me they were installing ramps for veterans or had supplied funds for the building of a ramp as service projects- There has to be more we can do to assist veterans needing ramps to allow them to stay in their homes and we cannot expect DAV Chapters to purchase ramps to fill every need. Why: The eKnowledge SAT & ACT Donation Project provides Free SAT & ACT prep for all students. Get the SAT and ACT scores you need using our preparation tools. **A student Fee of $17.55 or $19.99 may apply. Attached also please see assistance/programming available through Hennepin County for Seniors. Hennepin County Alternative Care program.pdf. Change to Chill is here to help you figure out what stress is, what causes it and how you can manage it. Jennifer Knutson is the wife of a wounded vet and has worked previously for Equifax Credit, US Bank and GMAC Home Refinance group. If you need help with your Taxes, please email to Jennifer at redminorkey@gmail.com . Effective August 1, 2015, traditional drilling/part-time National Guard and Reserve service members and their dependents are again eligible to use the Tutor.com for U.S. Military Families program at no cost through continued funding by the Yellow Ribbon Reintegration Program.If you are a first-time Tutor.com student, you may create an account by going to www.tutor.com/military , clicking the blue button that corresponds to your family’s branch of service (Army, Navy, Air Force or Marine Corps), confirming your eligibility and following the account setup instructions.